22 March, 2018, Cairo, Egypt: Prompted by the rise in demand for residential communities with integrated retail, leisure and entertainment facilities, real estate developers at this year’s Cityscape Egypt are ramping up efforts to entice potential homebuyers with a range of plush villas and townhouses in new mixed-use developments. Opening its doors on March 28th and running until the 31st at its new venue the Egypt International Exhibition Centre (EIEC) in Mehwar Almosheer Tantawy in New Cairo, the 7th edition of Cityscape Egypt will reveal hundreds of real estate investment opportunities for prospective buyers across all price points. Egypt’s foremost developers are expected to tout their latest projects, with most developments featuring a strong emphasis on lifestyle and community living. According to experts, market trends are indicative of a rise in demand for residential communities that cater to homeowners’ requirements of green space, retail such as cafes and restaurants, leisure facilities, education, and healthcare. Exhibitors at this year’s Cityscape Egypt will speak to this need. Tatweer Misr will be launching three mixed-use, residential projects at Cityscape Egypt: Fouka Bay, in Ras El Hekma North Coast; Bloomfields, New Cairo; and IL Monte Galala in Sokhna. Bloomfields in New Cairo will also include, commercial space, parks and open-air galleries. Hyde Park Developments are expected to launch the latest phase of its Hyde Park Business District New Cairo, and the second phase of Coast 82, on the North Coast. With a focus on lifestyle products, Hyde Park plans on developing an area of 40 acres in 2018, devoted to leisure activities, including spaces for all sports. “In addition to a social club, an elite team comprising sports cadres and administrators in Egypt will run the club in accordance with the administration standards of international organisations,” added Serag. Visitors to the four-day show, will have a chance to meet developers, who will offer special promotions on residential units and complexes, as well as property consultants who will be able to dispense advice. Developer, SUD will showcase High City, Capital Heights 1, and Capital Heights 2. High City, which will be ready in 2020, sits on top of a hill on Obour City overlooking Ahmed Orabi Square as well as the entrance to the Fifth District. The residential complex will feature green space, a shopping mall and health clubs. A 0% down payment and a 5-year instalment will be offered at the show. Tabarak Developments will showcase its popular 90 Avenue development in New Cairo and Capital East Residence in Nasr City. “90 Avenue is expected to deliver phase one fully finished in 2018 with a total investment of 7 billion EGP. In addition, Capital East Residence, which was launched in February 2017, with 800 million EGP is expected to start delivering its units in 2019,” said Ali El Shorbany, CEO and Chairman of Tabarak Developments. This year’s platinum sponsor, PROJECTS, will showcase its Blues Tiffany development, in Ras El-Hekma on Egypt’s North Coast. The project is spread over 250 acres and the developer will offer a 10% discount and will also reveal flexible payment structures at the show. 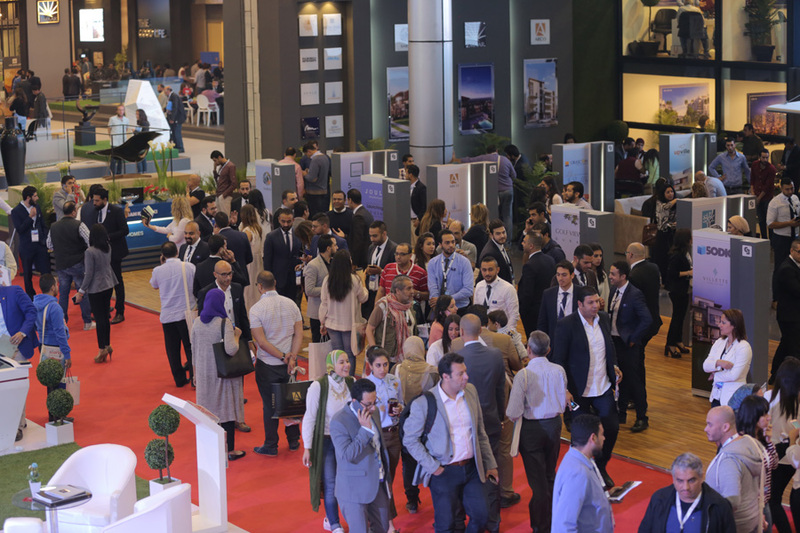 This year, visitors looking to gain knowledge, insight and advice on the real estate sector can attend the Cityscape Talks, a free-to-attend content offering held on the show floor on all four days. Visitors can hear from speakers on how to maximise their real estate investment, find out about the current market trends, acquire important information before finalising their purchase and network with potential business contacts in the industry. Speakers include, real estate brokers, architects, engineers and other professionals. Other exhibitors at this year’s Cityscape Egypt include: Talaat Moustafa Group, SODIC, Aristo Developers, Ardic for Real Estate Development, Edge Architects, Madaar Development, Misr Italia Properties, Mousa Coast Development, and many more. Cityscape Egypt is owned by Informa Exhibitions. Informa Exhibitions delivers over 220 trade and consumer exhibitions annually across the globe. Cityscape first took place in 2002 in Dubai and since then, it has grown to be the largest real estate event brand globally, with events taking place across the GCC, Middle East, Asia and Turkey. Since its launch, Cityscape has welcomed over 500,000 real estate professionals and investors from over 160 countries.